(2012.201.B0403.0529, photo by R. Taylor, Oklahoma Publishing Company Photography Collection, OHS). The seismograph, an instrument that measures the intensity of blast-induced underground vibrations, is an essential tool in the search for petroleum. The first workable seismograph was constructed for use by the German army in World War I. In the United States in 1917 John C. Karcher, an employee of the U.S. Bureau of Standards, independently invented a similar instrument. Both the German and American versions, crude contrivances at best, were intended for use in locating enemy artillery by measuring the seismic vibrations produced by their firing. John C. Karcher, an Indiana native raised from age five on a farm near Hennessey, Oklahoma, had received electrical engineering and physics degrees from the University of Oklahoma (OU) in 1916. World War I interrupted his graduate studies at the University of Pennsylvania, but after the war he resumed his experiments, applying his knowledge of seismology to the subject of geology. In 1918–19 he developed a reflection seismograph and applied for patents. Dr. D. W. Ohern, geologist, and Dr. W. P. Haseman, physicist, two of Karcher's former professors at OU, collaborated with him in refining the seismograph's design. Hoping for a successful commercial use of the device by the petroleum industry, the men formed Geological Engineering Company and prepared to conduct a test. Karcher, Ohern, and Haseman were joined by Dr. Irving Perrine, also an OU geology professor, and geologist William C. Kite in readying the instrument and finding a suitable site. Financial backing was provided by Oklahoma City oilmen Frank Buttram and brothers Walter R. and William E. Ramsey. On June 4, 1921, on a farm three miles north of Oklahoma City (now at the site of the Belle Isle Library, Northwest Expressway and Villa), the team tested the seismograph and determined that it could, indeed, show subsurface structure that was capable of holding oil. During the 1920s Karcher and his associates formed a succession of companies to use the new tool in the oil fields, but the price of crude petroleum plummeted. The men were never able to put over the device commercially. In 1924 Gulf Production Company brought in a company called Seismos to use the German version of the seismograph to search for oil in Texas. However, the first success was Karcher's, rather than the Germans'. In 1925 he combined with another OU graduate, geologist and oilman Everette L. DeGolyer, in forming Geophysical Research Corporation (GRC), a division of DeGolyer's Amerada Petroleum Corporation. In 1926 GRC sent a reflection seismograph crew into the field around Seminole, Oklahoma, to map subsurface structures. After locating a structure deemed likely to bear oil, Amerada drilled. On December 4, 1928, they struck oil, opening the world's first well ever to be successfully drilled into a structure located by reflection seismography. In 1930 Karcher separated from DeGolyer and founded Geophysical Service, the first independent company to offer prospecting services to oil companies. In the 1940s Geophysical Service, Incorporated, under new owners, was renamed Texas Instruments, Incorporated. 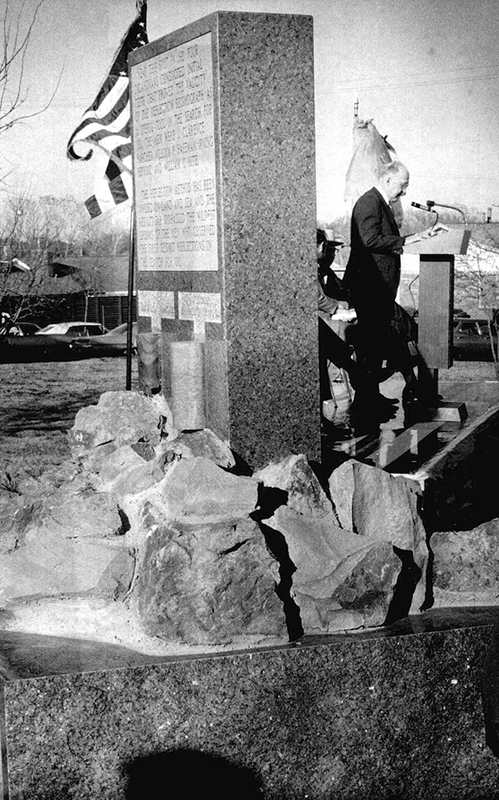 On April 1, 1971, the Midwestern Society of Exploration Geophysicists, meeting in Oklahoma City, erected a monument on the site of Karcher's 1921 test at Belle Isle. The inscription reads, in part: "Birthplace of the Reflection Seismograph. Field tests that confirmed the validity of the reflection seismography method of prospecting for oil were conducted near this spot on June 4, 1921. The shot has virtually echoed around the world." Cecil H. Green, "John Clarence Karcher, 1894–1978, Father of the Reflection Seismograph," Geophysics 178 (1979). Oklahoma City (Oklahoma) Times, 11 February 1971. Richard M. Perdue, "John Clarence Karcher," The New Handbook of Texas, ed. Ron Tyler, Vol. 3 (Austin: Texas State Historical Association, 1996). Jacques C. Press, ed., American Men and Women of Science (New York: R. R. Bowker, 1976). Dianna Everett, "Seismograph," The Encyclopedia of Oklahoma History and Culture, https://www.okhistory.org/publications/enc/entry.php?entry=SE008.